Where you beginning to think I wasn't ever going to post again?! 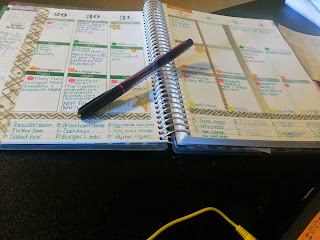 I am posting today to share and write out some of my goals for March! I wanted to take a few moments to gather my thoughts and work through some of the goals I desire to achieve and thought ... why not go through that process here! I plan on continuing to do YouTube videos at least 5 times a week, maybe with a bit more consistency on content. I also want to find a good groove for more connected consistency here on the blog. I am coming up on the end of a freelance project I have been working on so it will free up a bit of time again. 2. Writing Project "Love*Life*Now: Unleashing your inner child"
It is my desire to inspire, encourage, and uplift those who are struggling to truly LOVE the life they live now rather than simply living in survival mode. This will be revolutionary for the adults out there who are overwhelmed with careers, home life, raising of families, and the daily upkeep of life in general that keep them so boggled down they forget to have fun! Learn to see the world through the eyes of your inner child ~ and experience the little things that are often so overlooked! (This will be a VERY reasonably priced item to have in your hands to make the remainder of 2016 the best year yet!) I am hoping to write and unleash it all in the month of March! I recently joined Norwex, a home based company that is known and sells it's products world wide. I plan on doing some videos of first impressions on the products I received, and if you are interested in purchasing products or finding out more information feel free to stop by Norwex Webpage here: www.SheilaCKing.norwex.biz . How far will it go? Not sure. I am honestly not sure how far I want it to go. I purchased a book a year ago and haven't read it. It is a Tony Robbins book that I know will help me continue in growth as a person, leader, and in some ways all areas of my life. Awaken The Giant Within is not a new book, and it is has been around a while with many GREAT testimonies of people who have read it and allowed their life to be better because of it. For me that is a lot of goals ~ that have ton of mini goals and such wrapped up within them that if I were to add anything else in there, I am afraid I would be overwhelming myself a ton and putting a lot of unnecessary stress upon myself. At home, I do want to tackle a few projects like cleaning out the garage, cleaning the carpets, and maybe some fun painting! March brings lots of changes and new things! Spring is coming (actually I think it is here already). Time change is coming! Why not take the initiative to plan a few goals out this month for yourself, your home, your dreams? !